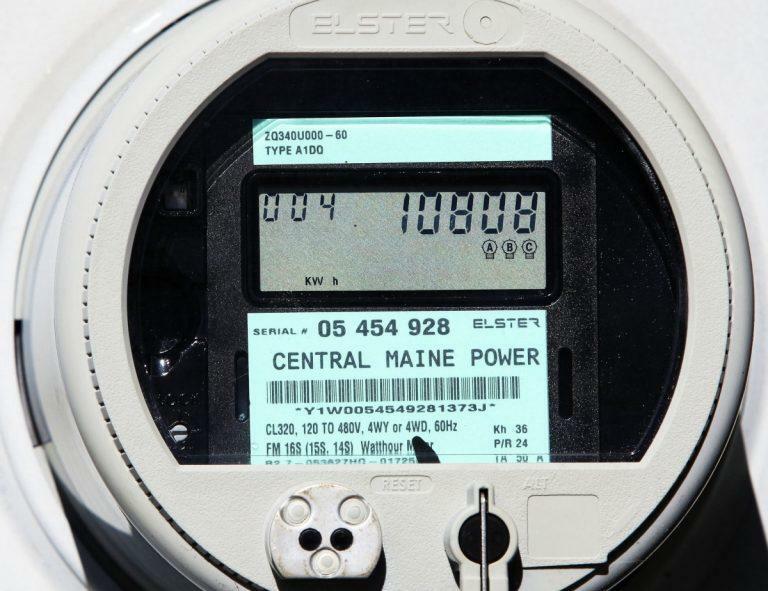 An independent audit of Central Maine Power released Thursday finds that CMP's smart meters produce accurate readings of customers' power usage. The Maine Public Utilities Commission (PUC) commissioned the audit as part of its inquiry into consumer complaints about unusually high bills last winter. The audit did identify problems with staffing and training around smart meters. Those high bills that thousands of customers complained about since last winter are reportedly due to the cold weather at the time, not to inaccurate readings by CMP's newly installed smart meters, according to the audit by Liberty Consulting. Harry Lanphear, spokesperson for the Maine PUC, says cold temperatures tend to increase power usage exponentially. "When it's 25 percent colder, that doesn't mean that your bill is going to be 25 percent higher,” he says. “It's normally a lot higher than that. It's not a linear situation there." Smart meters may produce accurate readings, but the audit did find issues with CMP's rollout of the new system. Insufficient training and staff caused some billing errors that required lengthy manual corrections and stirred customer frustration. Lanphear says CMP customer service operations experienced a 22 percent increase in the time it took to handle calls, as well as a high rate of waiting customers who decided to hang up. "They failed to meet their target level of service, which is 80 percent of the calls answered within 45 seconds," Lanphear says. "We know we dropped the ball," says Catharine Hartnett, a spokesperson for CMP. Hartnett says the company is pleased that the audit concluded that smart meters provide accurate information. At the same time, she says, CMP recognizes the staff and training issues and is committed to improving. But for CMP critics, including Democratic Representative Seth Berry, the damage is already done. He issued a statement saying that CMP for ignored problems and cut corners while "chasing lucrative energy corridors on behalf of its investors overseas." And Maine's Public Advocate, Barry Hobbins, says CMP has a lot of work to do to earn back consumer confidence. "If they are understaffed, they better gear up,” he says. “And it shouldn't be out of the ratepayers. It should be out of the shareholders’ pocket, not the ratepayers’ pocket." Hobbins says he wants to examine the findings by Liberty Consulting. His office has commissioned accounting firm BerryDunn to do an audit of the audit. "To see if they find any irregularities or any issues that hit them straight on from an accounting standpoint,” he says. “And also to find out what our next steps are for the utility, Central Maine Power Company, to remediate some of the issues that have been found with respect to customer service." Lanphear says the commission will meet January 8 to review the findings of Liberty's audit and discuss next steps. Nothing, at this point, he says, is final.